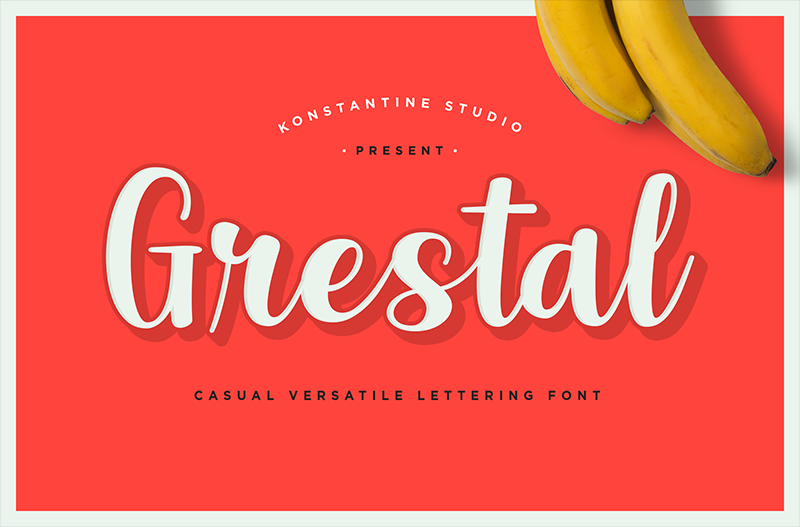 Please welcome, Grestal. A modern casual calligraphic font with lettering feels. So chill and fun to play with. Perfectly fit for any casual branding, food and beverages packaging, social media branding, logo, a vintage and retro things are an absolute yes too for this font. Send the messages with your design in a fun way with it. Double the happiness!